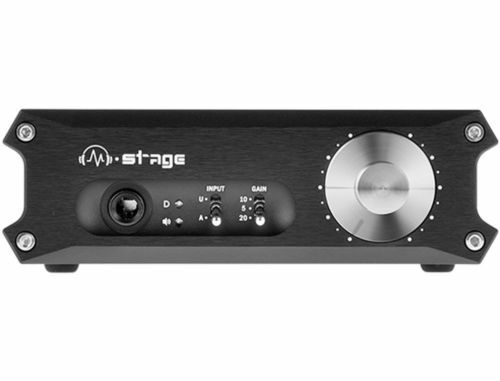 HPA-3U is a biggest evolution since the M-Stage series headphone amplifier came out, the new appearance, the new circuit design and radical performance improvement to make it all difference. Of THD Full-band + less than SNR 0.0003%, up to -112dB bandwidth, not less N 150k at -3dB gain than, 0.2 low output ultra impedance three, gain level To fit for options the different impedance and sensitivity headphone all, of Excellence performance improvements these to be born the brand new HPA-3U! The most stable XMOS U series USB controller on the new USB module, support 24 Sample rate PCM signal playback DOP, mode DSD playback capacity bit/192kHz, the Bright spot is biggest that can be played with your iOS and the most Android Devices. Excellent structural design to quickly dissipate the heat of power tube via the shell, to ensured the stability of the work; full symmetric circuit layout makes two channels audio have the isometric path; driver stage use the precision constant current source and establish stable working point; Parallel output of the output stage can effectively reduce the output impedance, and improved driving capability, extended dynamic range. Alps 27 series volume potentiometer, Wima and Nichicon audio gradecapacitors, Noratel toroidal transformer, precision non-inductive resistance, each carefully selected components make HPA-3U not only presents the perfect sound, but also a more stable and reliable.